It only seems like yesterday when we were celebrating our 10th birthday. But here we are, celebrating again... Zolv is 15! It’s been a great half-decade. The best yet, in fact. You see, the thing about working at a technology company, especially if it’s run by a Techy who can’t keep his hands off the new stuff, is nothing gets old and boring. Every day there’s something new to learn, a problem to solve, or an idea to explore. However, one thing that hasn’t changed too much is our list of clients and our team. Sure, there have been a few changes to the roster, but we continue to enjoy working with each other and with our great clients, many of whom have trusted Zolv to look after their web sites for, like, forever! So how did we celebrate? Anyone who knows us will suspect it involved tea and cake. And they’d be right. 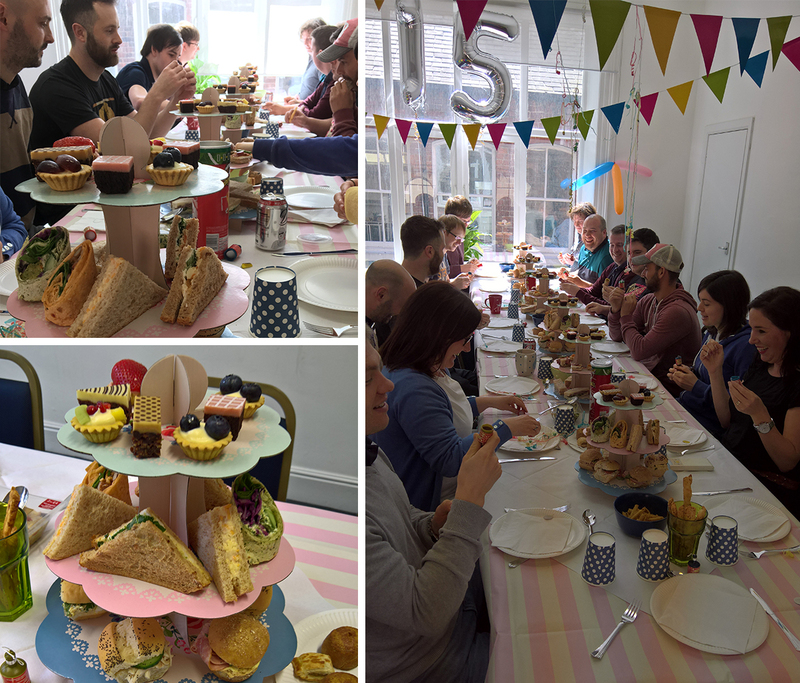 We had an Afternoon Tea Birthday Party; cake, games, cake, tea, cake, jelly and ice cream, and cake. And we held it on #NationalTeaDay. Coincidence? I think not!! We love being part of the travel technology scene. The travel industry is a challenging place to work, but there’s a constant stream of new opportunities to innovate and build new business relationships. That’s why we love it! Here’s to the next 15!